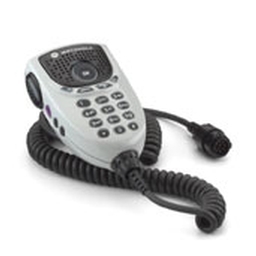 Includes a full keypad that enables you to enter text messages and dial numbers from the microphone. Three shortcut buttons enable easy access to various control head features. This microphone features IMPRES audio which suppresses ambient noise, improves voice intelligibility and amplifies loudness, making it easy to hear over road noise and rumbling trucks.